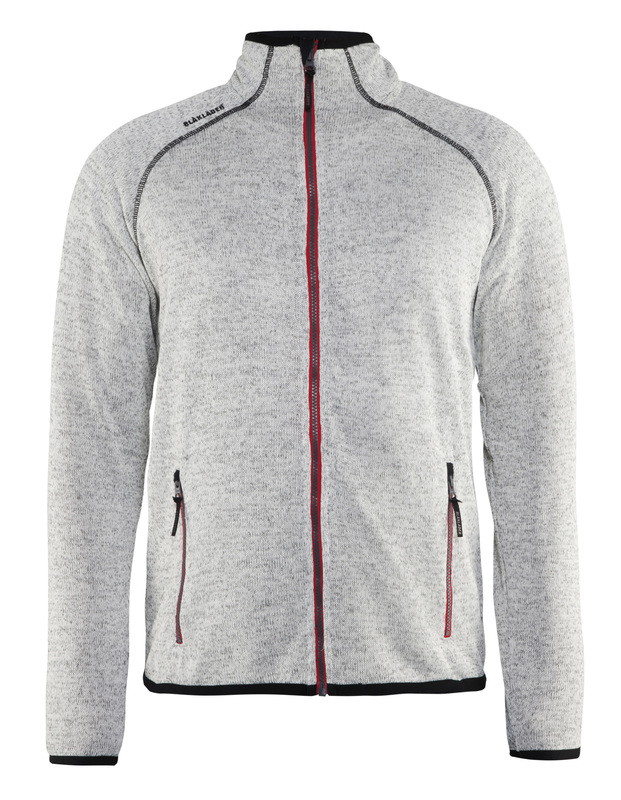 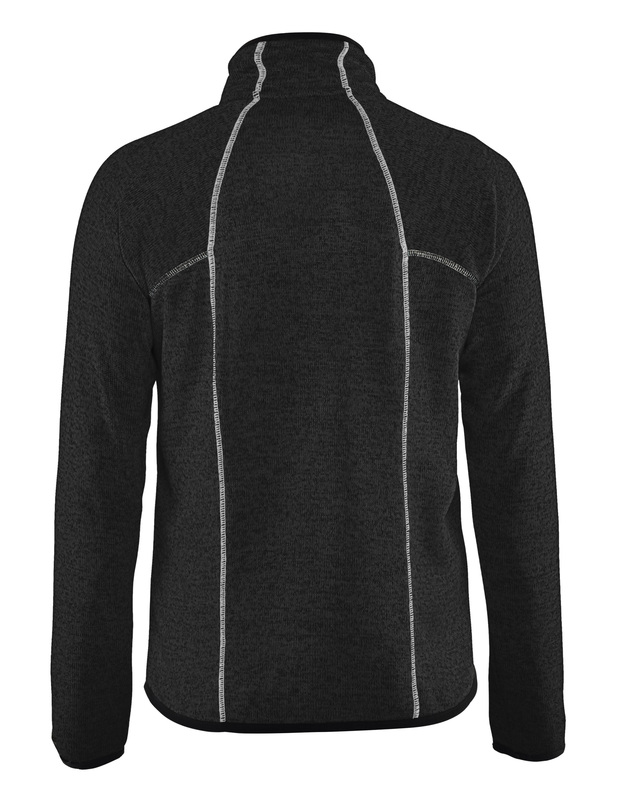 Comfortable knitted jacket with zippers in contrasting colour. 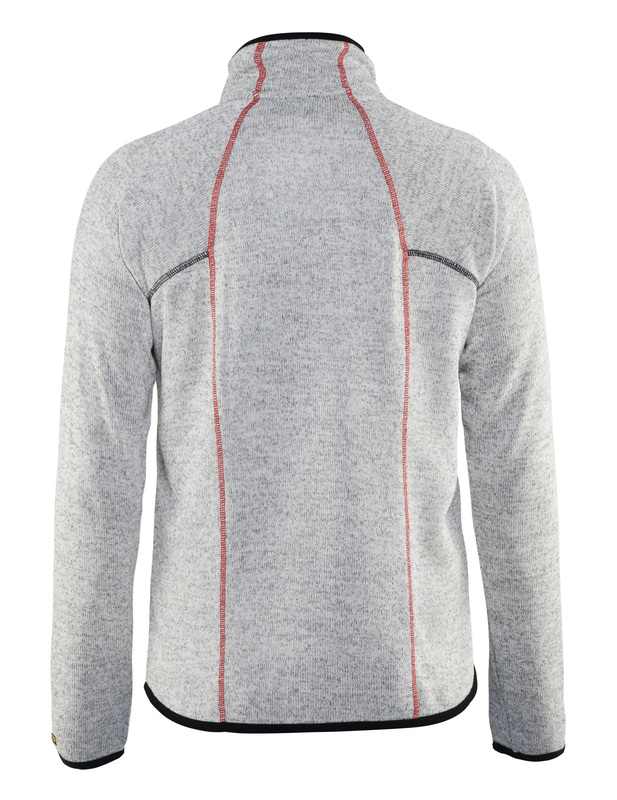 The jacket has elastic edging at sleeve ends and hem, extended back and fleece lined collar. 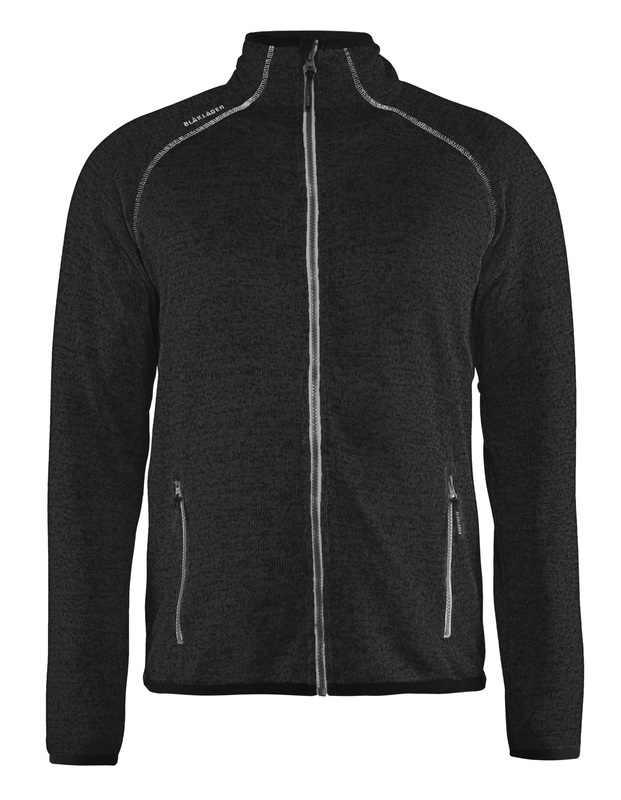 The front pockets have zippers.